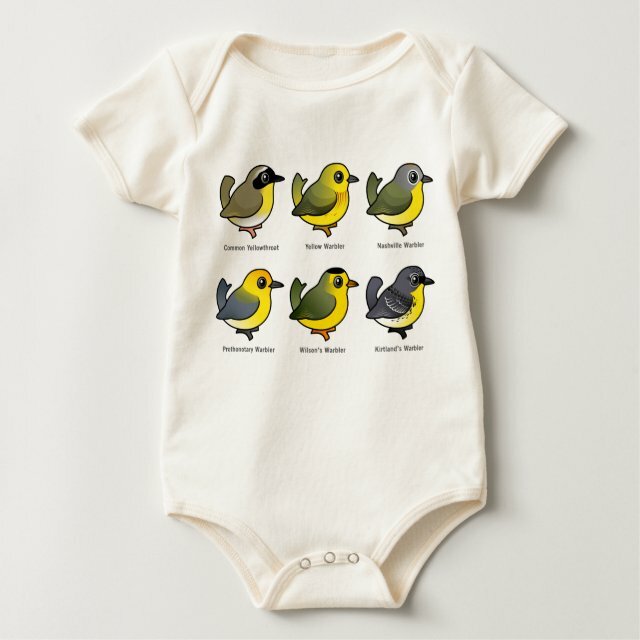 Have fun learning your warblers with this cute original design from Birdorable! Six eastern Wood-Warblers are featured in cute cartoon style. They are: Common Yellowthroat; Yellow Warbler; Nashville Warbler; Prothonotary Warbler; Wilson's Warbler; and Kirtland's Warbler. You can totally customize this gift! Move the design around, change the color or style, add your own text or images -- make it your own!